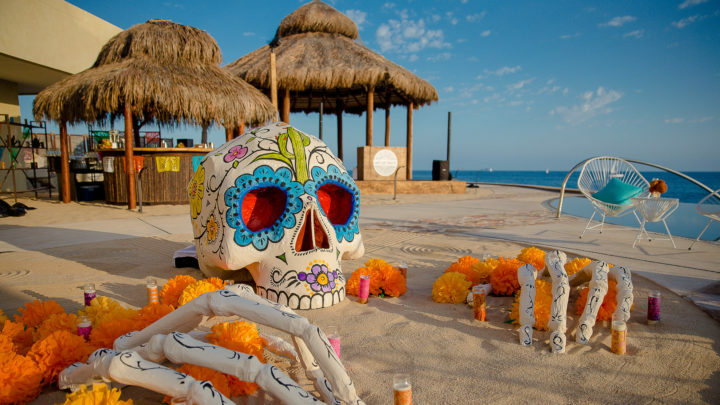 Join the team at The Resort of Pedregal in the stunning Cabos San Lucas, Mexico for a weekend of fiestas, special activities and screening of Pixar’s Coco celebrating Día de los Muertos from November 1st-3rd, 2018. Día de los Muertos honors the dead with festivals and lively celebrations, a traditionally Latin American custom that combines indigenous Aztec rituals with Catholicism, brought to the region by the Spanish conquistadores. Its celebrated on All Saints Day and All Souls Day, minor holidays in the Catholic calendar. Assured that the dead would be insulted by mourning or sadness, Día de los Muertos celebrates the lives of the deceased with food, drinks, parties, and activities that the dead enjoyed in life. It recognizes death as a natural part of the human experience, a continuum after with birth, childhood, and growing up to become a contributing member of society. The dead are also a part of the community, awakened from their eternal sleep to share celebrations with their loved ones. The most familiar symbol of Día de los Muertos may be the calacas and calaveras (skeletons and skulls), which appear everywhere during the holiday: in candied sweets, as parade masks and as dolls. Calacas and calaveras are almost always portrayed as enjoying life, often in fancy clothes and entertaining situations. While Ofrendas, known as altars, make the souls feel welcomed and show them that they have not been forgotten. 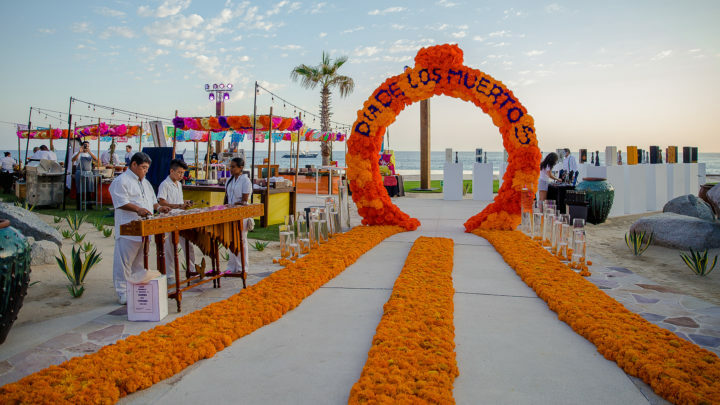 Day of the Dead altars are set with different elements depending on the region; these differences are determined by the availability of seasonal flowers, fruits, and the traditional food from the area, while other elements are shared everywhere in the country. The Resort’s lobby will be transformed into a delightful culinary affair, with you as the guest of honor and hosted by General Manger Fernando Flores and the management team. 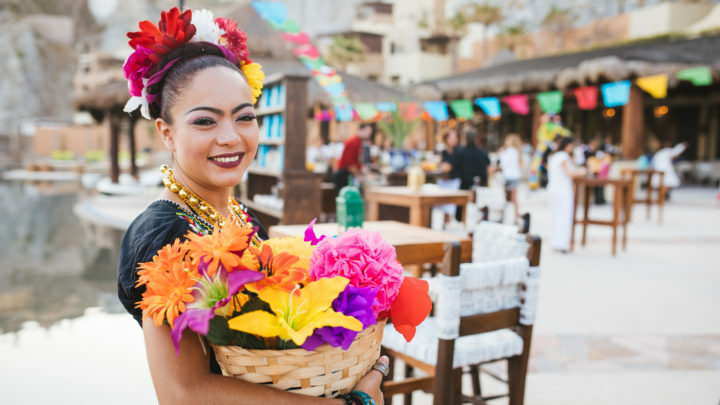 The Resort at Pedregal’s Executive Chef Gustavo Pinet and his Culinary Team along with special Chef guest Carlos Gaytan will draw inspiration from Mexico’s traditional dishes to curate exceptional cuisine at this colorful and delicious celebration. Come and meet Chef Carlos Gaytan who is the first Mexican Chef to earn a Michelin Star and be recognized as one of the best Chefs in the world. The resort’s very own head bartender, David Hernandez, has partnered with Tequila Clase Azul to craft special Mexican cocktails. Wine Maker, Sitara Monica Perez from Guadalupe Valley in Baja California. will be presenting her most recent wine releases with us at this event. We look forward to seeing you at the event. Complementary for in-house guests including Live Entertainment and Mariachi. The day of the dead is truly a celebration of life. The rituals used to celebrate the day are varied and colorful, yet all carry the same message – that the holiday is in fact a celebration of life. As an early start to the celebrations, Don Manuel’s will be transformed in to a Mexican fairytale with a unique and elegant dinner envisioned by the resort’s guest Chef Carlos Gaytan, the first Mexican chef to earn a Michelin Star and who come in third place on Top Chef USA. Indulge with a very traditional Mercado de dulces, or dessert stations, paired with the most exclusive wines and spirits! 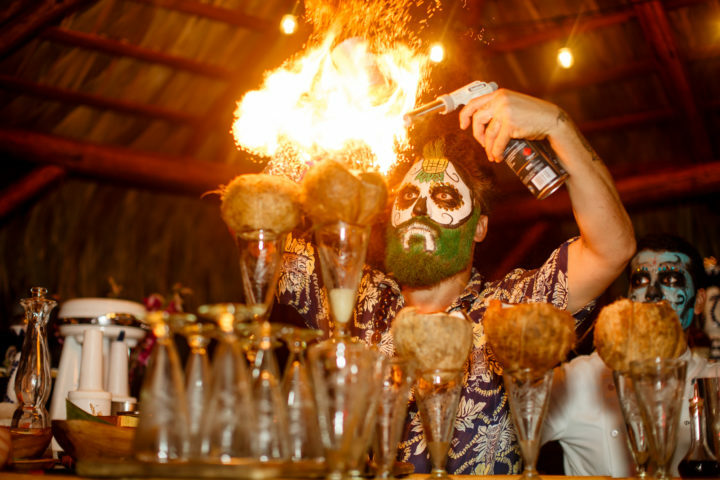 Expect Mexico’s favorite drinks – Beer, Mezcal and Tequila! Oenophiles will not be disappointed either! Dinner à la carte: Children’s menu available. Live Entertainment. Join the resort’s guest Chef Carlos Gaytan alongside our culinary team at The Resort at Pedregal for an exclusive cooking class at El Farallon Restaurant. Learn how to prepare the most popular dishes while you enjoy the outstanding scenery and gorgeous views at Los Cabo’s best restaurant. Savor the traditional foods of Mexico crafted by world renowned chefs, including the freshest seafood, Baja cuisine, and a complimentary glass of Champagne to toast while the sounds of the waves crash below. Cost per Class: $65 USD. Includes Lunch and Complimentary welcome glass of Champagne. Price for kids: $35 USD. Includes soft drinks and Live Entertainment. Adults-Only Cooking Class. Lunch is available for all ages. The Resort at Pedregal invites you for an evening with Michelin Star Chef Carlos Gaytan. Join the team at our Hacienda style kitchen for a five course dinner paired with cocktails, spirits and wines. Our chefs, sommeliers and mixologists will prepare a special menu inspired by seasonal local ingredients for a communal, elegant gathering. Price: $220 USD per person includes paired cocktails and wine. Maximum Capacity: 12 people. Live Entertainment. Reservations are highly recommended. 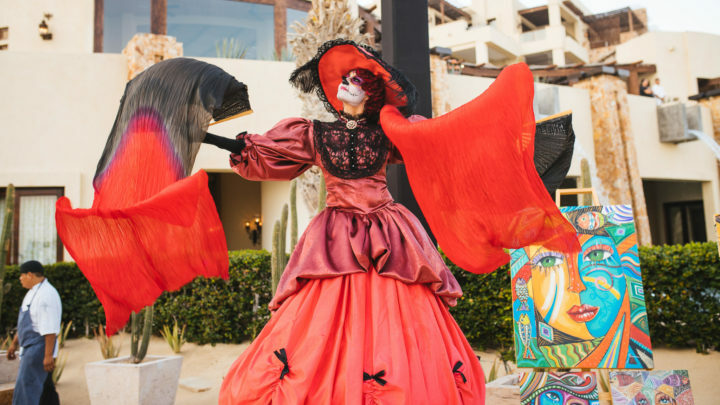 Please contact Concierge at reservations@theresortatpedregal.com or call+ 52 624 163 4300 directly to confirm your Day of the Dead Celebrations.